I’ve been pretty busy lately. I’ve had a lot of photoshoots modelling wise and have been learning a lot. I’m working on my acting showreel and will be starting work on a project as part of Skybok filming and editing for Yokhuselo Haven for Abused Women who is hosting a big function in honour of their 25th anniversary this month. I’m presenting in a new Industrial series for my family’s company Doubell Machines and I’m soon making the move to Johannesburg but will be making a trip to Cape Town Nov 1 for the summer season there. The word on my lips is COMMUTE ! I’ll be doing a lot of that in the time to come. Good thing I just bought a new cabin bag 😉 Acting-wise, there’s usually a great deal of castings and auditions up in Cape Town during these next 2 months of the year, so I’m excited for that. 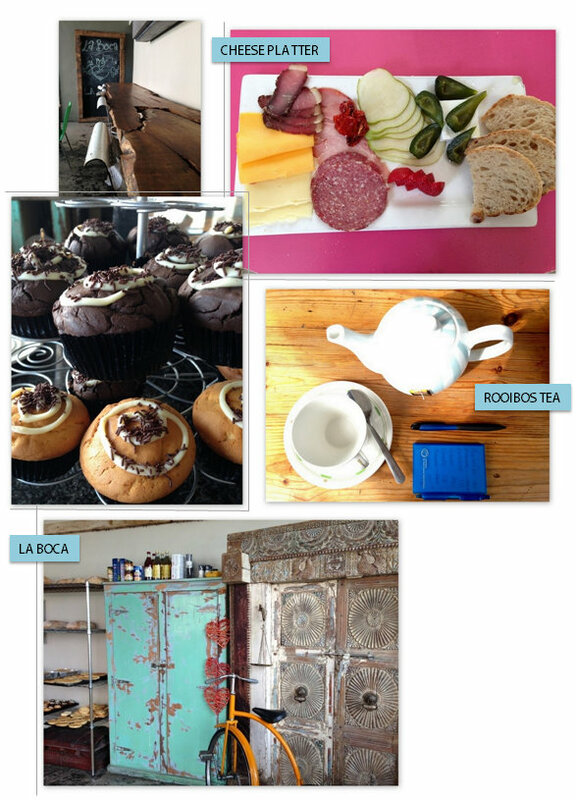 In the midst of all this, I’ve discovered a coffee shop in Port Elizabeth called La Boca. When I went the other day I had a pot of Rooibos tea (a true South African product) and an amazing cheese platter. Thank Goodness I had my laptop with me, as The Mail & Guardian contacted me for some photos of Grahamstown’s nightlife which I happened to have a lot of seeing as Skybok Profiles filmed many of their clubs last year! Watch one of our profiles of their biggest nightclub below. I did the editing and voice work and my brother did the filming. Shot on a CANON 5D MK 2 with a 50mm fixed focus lens and a 20mm wide angle lens. OMG the cheese platter.. GIVE ME! !